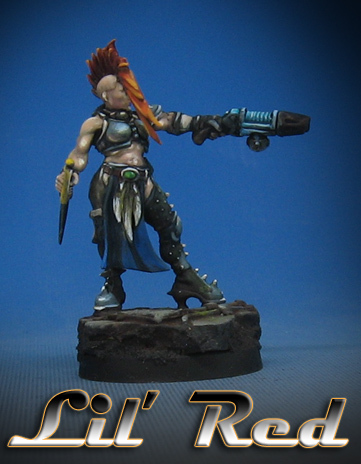 Here's another example of a Necromunda Clan Escher figure painted mostly with oil paints, As usual, I did some finishing details with acrylics once that was dried. This was especially the case where I needed to establish some glowing parts on the figures. I wanted to use my Vallejo fluorescent paints like I normally do for such things. Thus far, I don't think anyone makes fluorescent oil paints!